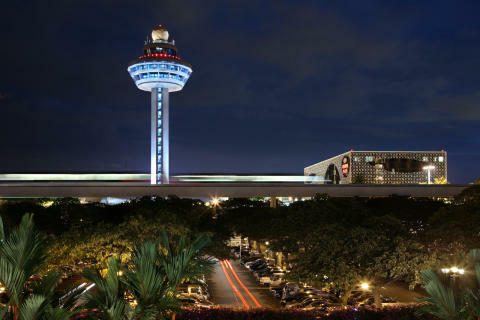 SINGAPORE, 28 July 2015 – Passenger traffic at Singapore Changi Airport increased 1.0% in June 2015, with 4.70 million passengers passing through the airport. This was Changi Airport’s busiest month so far this year. In terms of flight movements, a total of 28,530 aircraft landings and take-offs were recorded during the month, a growth of 1.4% year-on-year. In the first six months of 2015, Changi Airport managed 26.6 million passengers, an increase of 0.2% compared to the corresponding period in 2014. Aircraft movements totalled 169,890, 1.0% lower than a year before. Thailand traffic continued to show positive signs of a rebound, with passenger movements to and from Bangkok registering robust growth of 30% in the first half of 2015. Bangkok has overtaken Jakarta to top the list of Changi Airport’s busiest routes for the six-month period. Kuala Lumpur, Hong Kong and Manila complete the top five list. Apart from Bangkok, Colombo and Mumbai also registered strong double-digit growth during the half-year, among cities with at least a quarter of a million passengers handled during the period. On the cargo front, even though airfreight shipments dipped 2.2% to 151,300 tonnes in June 2015, total cargo volume for the half-year rose 0.2% to 912,300 tonnes. 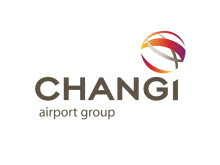 As at 1 July 2015, more than 100 airlines operate at Changi Airport, connecting Singapore to over 320 cities in some 80 countries and territories worldwide. With more than 6,700 weekly scheduled flights, an aircraft takes off or lands at Changi roughly once every 90 seconds. New Services – Scoot has launched a six-weekly service to Osaka with a stop-over in Bangkok for three of the services and a stop-over in Kaohsiung for the remaining three. Osaka and Kaohsiung are the 14th and 15th destinations in the airline’s network. On 14 July, Malindo Air started a daily service to Ipoh, offering passengers another option for flights to the Malaysian city. Malindo Air is the third airline operating this route, along with Firefly and Tigerair. Starting from 7 July, Taiwanese carrier EVA Air increased the frequency of its Taipei-Singapore service from 7 to 11 times a week. Changi Airport also strengthened its connectivity to Australia with the commencement of a new service to Perth on 26 June, operated by Qantas five times a week. New Stores – In the transit areas of Terminal 1, a new retail pop-up store The Keepers: Singapore Designer Collective was opened on 15 July and features products curated by talented local designers such as Carrie K, Marilyn Tan Jewellery and Ling Wu. In the same terminal and housed in the rooftop Cactus Garden, the new Traveller's Cactus Pub offers a spectacular open view of the runway, and an outdoor oasis to dine and enjoy a glass of ice-cold beer while relaxing to the tunes of a live guitarist. This unique hangout is open to guests round the clock. Over in the public areas, visitors can now shop for trendy apparel and fashion accessories at The Blues located at Terminal 3, Basement 2.